IN THE GARDEN: Prune trees & shrubs. Start cool season seeds inside and plant peas and radishes outside. Turn & harvest compost. 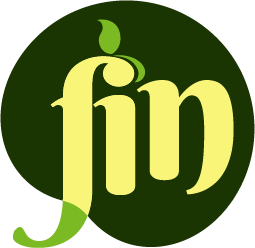 The FIN forum is a community project for sharing knowledge, news, and other useful resources for all things food in Louisville. Use this particular thread to make any suggestions about how you think the FIN forum can be improved. Can we allow people to participate without having to set up an account and a password? Can we ask for contact info with a post but not have to manage one more account & password? thanks. Forum builder here. Thanks for your comment! I’ll definitely take that feature into account. I think it might make sense for something like this where the forum is very Louisville-centric, but my more general idea was that making people go through the extra step creates a bit more of a feeling of investment in the forum itself and helps minimize spam from bots (I honestly don’t know how likely it is that the comments sections will just get flooded with spam if we don’t require login). Anyone else care to chime in on this? I really like how the usernames allow us to know who the other users are, and view all other posts from one user. If we’re able to keep these features, I’m fine with removing the password requirement. I would hope that if we remove this password, that people will keep using their same username so they don’t create multiple profiles each time they log in (just so the “see all posts” feature keeps working like it’s set up to work. What do you think, Amanda?